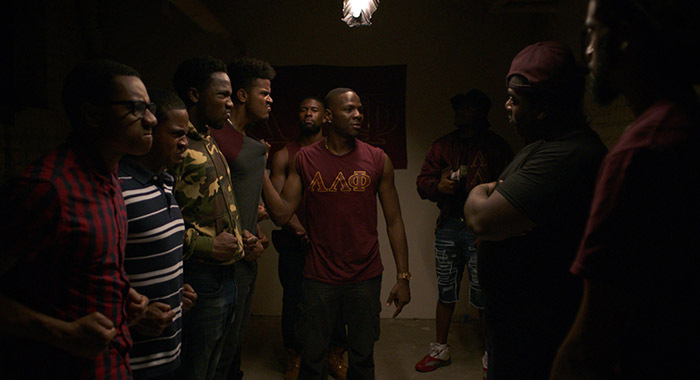 STAR TREVOR JACKSON AND WRITER-DIRECTOR GERARD MCMURRAY TELL THE STORY BEHIND NEW NETFLIX RELEASE ABOUT THE POTENTIALLY LETHAL CONSEQUENCES OF HAZING AT HBCUS. Pledging a fraternity or sorority is not the same as hazing. Not only is hazing illegal, but the practice has claimed the lives of far too many young men and women across college campuses all over America, including historically black colleges and universities (HBCUs). 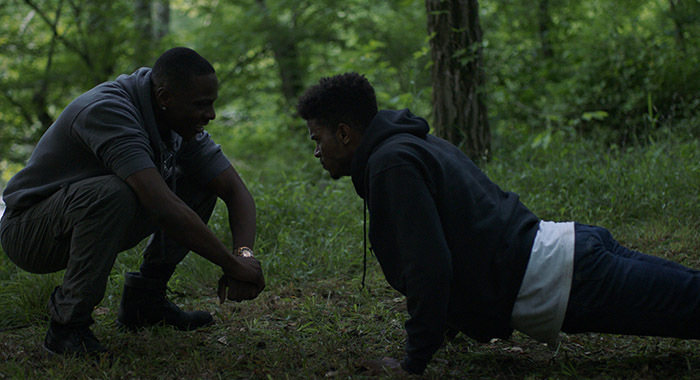 These senseless deaths inspired Netflix’s compelling new movie Burning Sands, which premiered at the Sundance Film Festival in January and starts streaming on Netflix on Friday March 10. 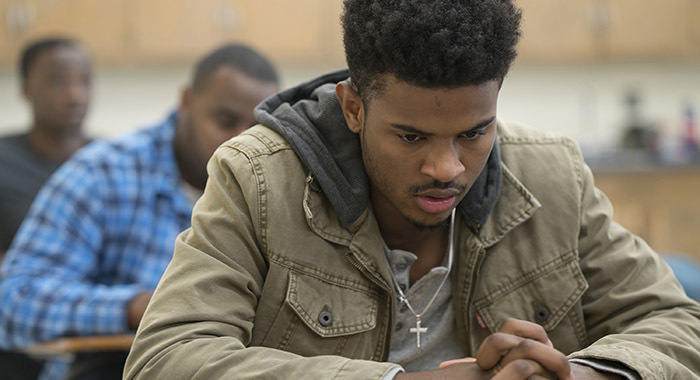 Trevor Jackson (American Crime) stars as Zurich, a bright and outgoing pre-med student determined to successfully pledge the fictional Lambda Phi fraternity at his historically black college. Unfortunately for Zurich and his line brothers, the fraternity’s overzealous upperclassmen are power-drunk bullies who sadistically torture them at every turn. Gerard McMurray, a producer on acclaimed film Fruitvale Station, directed and co-wrote Burning Sands, which also stars Oscar-nominated actress Alfre Woodard (Luke Cage), Steve Harris (The Practice), and Trevante Rhodes (Moonlight). But there are more reasons to stream this movie than its impressive cast. 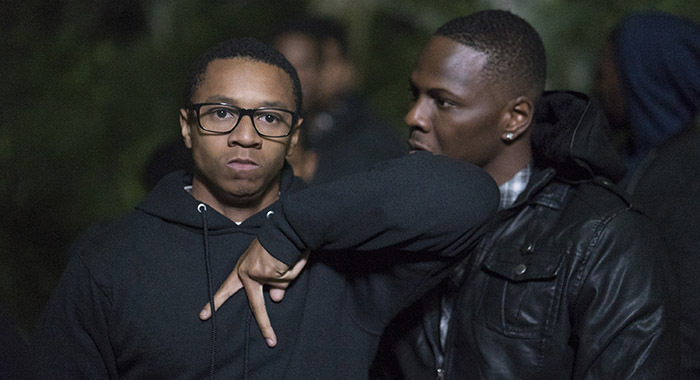 Jackson and McMurray talked to Rotten Tomatoes about the film — here are seven Burning Sands revelations they shared. McMurray drew from real-life hazing deaths at two different HBCUs. In 2011, a drum major at Florida A&M named Robert Champion died after being beaten and hazed on a bus. Two years later, two Virginia State University students — Jauwan Holmes and Marvell Edmonson — drowned during an initiation ritual for an unsanctioned group called Men of Honor. If you’ve seen season 2 of American Crime, you know the 20-year-old actor has a commanding presence. His ability to captivate is even stronger in Burning Sands, a film that capitalizes on his strengths. Jackson said he chose this project to convey a message. 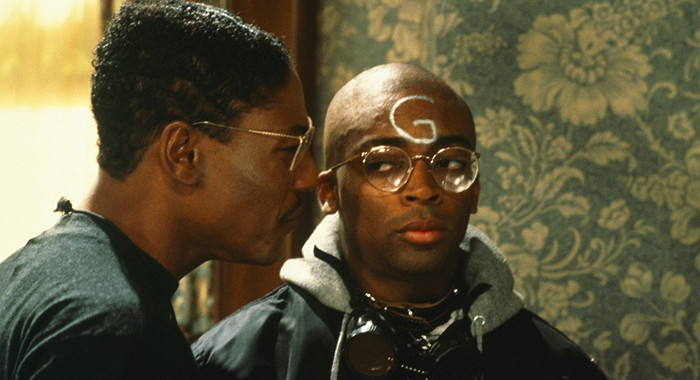 The 1988 comedic drama School Daze, which Lee wrote and directed, follows the hazing rituals of the fictional Gamma Phi Gamma fraternity. 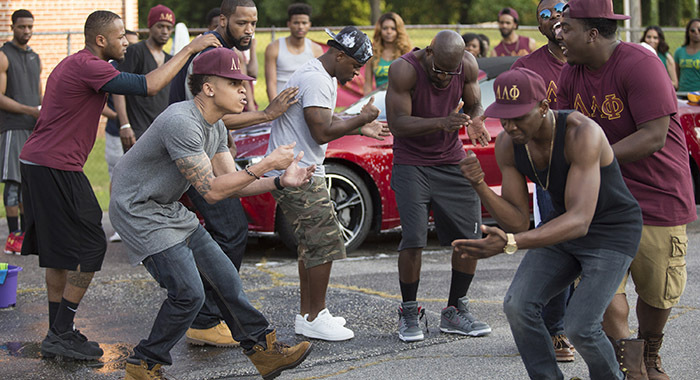 But unlike Burning Sands, the musically driven movie portrays hazing as a rite of passage instead of a life-threatening crossroad. 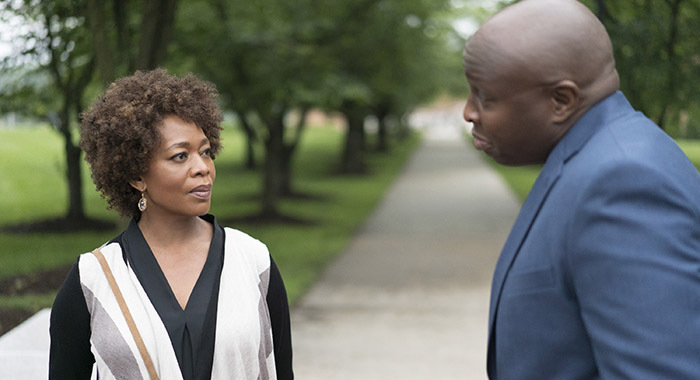 Woodard, an Emmy Award winner whose credits include Captain America: Civil War and Desperate Housewives, brought a level of gravitas to Burning Sands, McMurray and Jackson said. Meanwhile, Jackson said Woodard helped him grow as an actor. McMurray said fraternity brothers and others have questioned why he’s tackling the topic of hazing because they think it will tarnish the image of black fraternities and sororities. But the filmmaker disputes that. Because two Virginia State University students died while being hazed four years ago, administrators were all too happy to have McMurray use the school’s campus for the movie. “They want people to see it, especially students, and think about the repercussions of hazing,” McMurray said. The subject matter behind American Crime and Burning Sands is very heavy. Now that Jackson has proven he can be portray dramatic roles, he’s ready to tackle a comedy or two, he said.